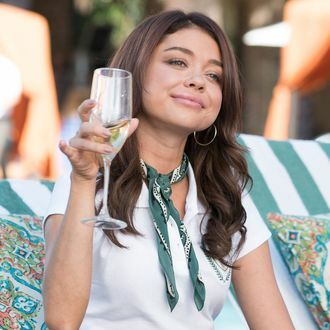 So, Who’s Modern Family Killing Off This Season? The Grim Reaper has finally come for a member of the Pritchett-Dunphy clan, and no amount of intervening from the ABC overlords can prevent it. In the upcoming tenth season of Modern Family— which will likely be its last, but who knows anymore — a “significant” character will die, and their death “will be a moving event” that “has repercussions across several episodes.” The show’s co-creator Christopher Lloyd confirmed the plans to EW, saying it’ll happen in the first half of the season. “We do deal with a death, which is certainly a topic that families have to deal with, and on television, it’s not easy to do because that’s a heavy subject,” he explained. “But at the same time, it would seem unusual for a family not to go through it.” We suppose the death of Jay, the family patriarch, would make the most (poignant) sense, but why do we have a feeling Mr. Reaper will spare the main characters and instead strike DeDe, the frequently-complained-about-but-rarely-seen matriarch? Either way, we’re already feeling antsy for Mitchell.